Youth in Southern Africa are particularly vulnerable to HIV and often face barriers to HIV-related services, including stigma and discrimination. MSF has partnered with local organizations to launch Khetha, an initiative aimed at revitalizing the model for HIV testing and counselling to meet the needs of young people. The project team is using a digital platform and working with youth to co-create information, education and communication (IEC) tools including videos and other digital content focused on positive messaging and healthy choices. The project team shares key insights and lessons learned from using a user-design approach for this lifesaving project. Young people (12-25 years), and especially young women, remain a vulnerable and challenging population to reach in the global HIV response. Youth continue to experience low HIV testing rates and a stubbornly high infection rate, particularly within the Southern African context. Youth often feel uncomfortable or excluded from health care services, because of stigma and other factors. The current HIV counseling and testing (HCT) model relies on a lay-counselor equipped with a paper-based flip-chart. This model has not seen any re-interpretation or innovation in the last decade and has several weaknesses: the quality of the counselor has a massive influence on the information communicated and user experience; the visual imagery is outdated and targets a primary-school level audience (cartoon); there is minimal structured, interactive confirmation of knowledge gained by the patient; and it is a one-size fits all (ages and genders) solution. 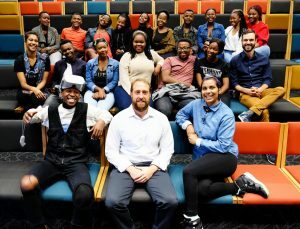 MSF has been working with HIV+ youth in South Africa since 2007 on key initiatives including HIV testing, counseling and differentiated care for youth in Khayelitsha. During this time, we have tried to adopt new tools such as social media but have not really modernized our approach for youth and HIV. As part of the Khetha initiative, MSF is partnering with local organizations to refresh the current HIV counselling model, specifically focusing on the youth/adolescent cohort. A user-centered design approach was used to define the content strategy, technology development and implementation of a new media/technology solution. 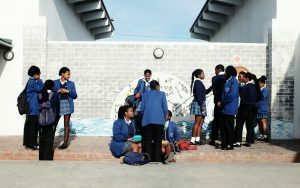 The product has been contextualized for South Africa but can be adapted in other settings. Beyond content, we are innovating on the delivery medium to enhance youth engagement with HIV testing. The aim is to encourage youth to link to HIV testing services and to ensure the testing journey at the point of care is consistent, engaging and adapted for youth. The information nudges users towards HIV testing by de-stigmatizing the testing process and presenting youth positive HIV messages. It also guides them through the testing process and informs them of the type of care they require, whether they test positive or negative. In order to achieve this, the final product consists of 5 components (4 different sets of videos and 1 digital platform). The first series of videos, known as HIV testing journey videos, are to be used within the HIV testing moment and are differentiated based on gender and test outcome. The second series of videos compliments the first by providing education on specific medical topics such as PEP, PreP, condom usage, etc. 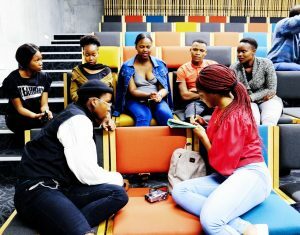 The third series of videos, known as HIV story videos, can be used anywhere and are to serve as conversation starters to explore how youth see HIV in their daily lives. The fourth series of videos focus on making healthy choices and are filmed using 360 virtual reality (VR). VR is expected to be an exciting way for youth in South Africa to engage with the content. Finally, all of these video streams will be housed on a digital platform which can be accessed via the web or by using a web-enacted mobile application. Although we did face delays at the beginning, the project has gained momentum and we are very near the completion of the product development phase. This means we will have all the videos and the platform (test-version) ready by World Aids Day on December 1st. We are planning to do some in-house testing during December with the goal of implementing these tools in clinics and communities with youth starting early 2019. We did not budget for a project manager in our proposal as we had hoped that existing staff would be able to incorporate the work into their daily roles. In hindsight, this was probably a false hypothesis – having a dedicated MSF project manager for this initiative would have been beneficial and might have helped us avoid or mitigate other challenges. Internally we faced challenges of communication and buy-in while attempting to go through the user-design and product creation stages. Because we wanted to involve teams from Cape Town, Khayelitsha (peri-urban) and Eshowe (rural), coordinating participation from all sides was complex. Often the internet connection failed us when collaborating with users at the rural site; we should have found more time to engage their contributions more proactively. Conversely, our desire to work with a large multidisciplinary team in the hopes of creating a robust product led to considerable delays. It has been a challenge working with a medical team to produce content when they have limited knowledge of the limits of multimedia. Equally challenging is ensuring that content is preserved when translated into a youth-friendly format by a multimedia team with limited medical knowledge. A lesson learned is that it is probably best to limit oneself to a small core team and resist the desire to bring in too many expert opinions. Aviro Health: Our main strategic partner supported the user-design phase and supported the engagement with external collaborators. Aviro Health also delivered the customized digital platform for this project. MSF Southern Africa Medical Unit (SAMU): We engaged the technical referents within SAMU to support the technical content within the digital syllabus. MSF Operational Centre-Brussels (Medical Department): We engaged referents on our approach to collecting patient/user data to ensure GDPR compliance. 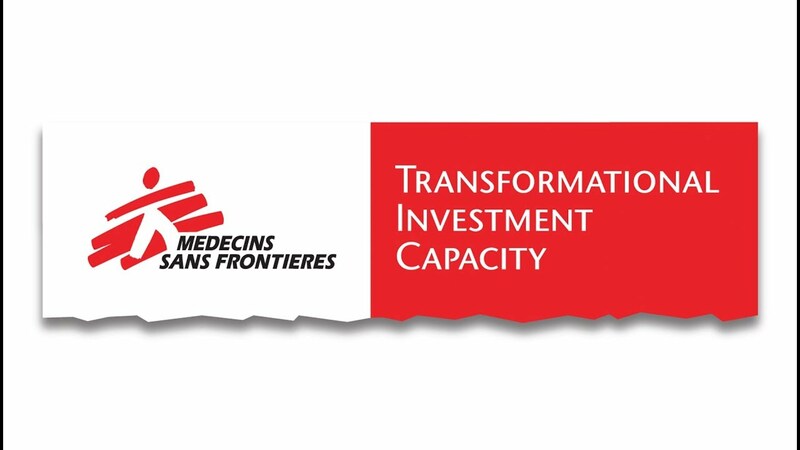 MSF Canada: We worked with a digital learning specialist to provide input on the syllabus. Echo Ledge and SenseVirtual: Digital content producers based in Cape Town helped us create the films and the 360VR. Virtual Reality Consultant: A technical consultant based in Holland provided input on the creation of the 360VR component. A potential long-term outcome of the project is that youth make more informed choices about their health, including their HIV testing frequency, condom use, use of PEP or PrEP, etc. Overall, any increase in youth testing or comfort level to HTC would be a positive outcome. The creation of engaging and 24-7 accessible content is hoped to be a positive, modern form of health promotion that could have knock-on benefits towards the perception of HIV among youth. A potential next phase could include building off the existing syllabus to create the next series of videos, ideally related to antiretroviral (ARV) treatment, ARV adherence and differentiated care, and returning to care for those who have dropped out of care. An entire series of journey, educational and story videos could be created around these themes. Furthermore, we might consider expanding the number and variety of 360 VR films, if we demonstrate that youth are really engaging with this tool. For now, we have invested in creating the first generation of tools on this platform. From here others, within or beyond MSF, can modify it to suit their needs. 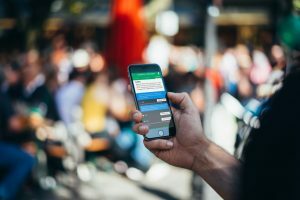 Translating subtitles and other content into local languages is the easiest form of adaptation, but recreating the user-design experience in new contexts is also possible.